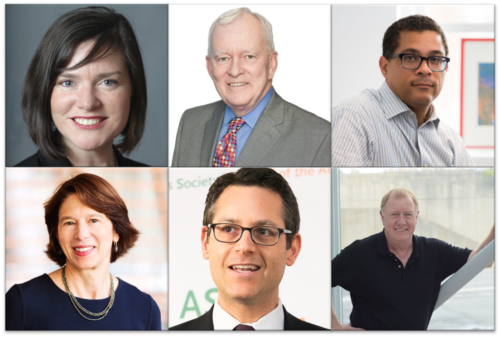 We’re delighted to announce the addition of six new passionate parkies to the New Yorkers for Parks Board of Directors. They bring expertise in both technical practice and implementation - our new board members have backgrounds in government, economic development, sustainability, public affairs, and tourism. Bringing renewed energy and multi-borough representation to NY4P, they're already helping to lead us into our next chapter of growth. Kate Collignon is a Partner at HR&A Advisors, an industry-leading economic development, real estate advisory, and public policy consulting firm that has provided strategic advisory services for complex mixed-use development projects and urban open spaces for over forty years. At HR&A, Kate’s open space work focuses on enabling communities to create value and public benefits through strategic connections with adjacent real estate and civic assets. Past work has supported programming, funding, operations and governance planning for projects such as Brooklyn Bridge Park, the Seattle Central Waterfront, Philadelphia’s Love Park, and the Albany Skyway. Kate also drives the growth of the firm’s inclusive Cities practice to promote equitable development within cities. She has directed and contributed to many of HR&A’s most complex planning and development projects, including OneNYC, New York City’s long-term strategic plan for equitable growth; a modernization strategy for Research Triangle Park; an award-winning open space and master plan for Philadelphia’s Delaware River Waterfront; and community-driven capital plans under the NY Rising Community Reconstruction Program and the NYS Downtown Revitalization Initiative. Kate previously served as Development Director with Brookfield Properties, and as Senior Vice President for Development at the New York City Economic Development Corporation. She is a graduate of Columbia University, and holds a Master of Public Policy and Urban Planning from Harvard. Christopher Collins is a Senior Advisor to Capalino + Company. Prior to joining the firm, Chris served in a variety of capacities in New York City government. Most recently he was a Commissioner and the Vice Chair of the Board of Standards & Appeals, where he reviewed zoning variance cases, special permits and administrative appeals. From 1992 to 2006 Chris was Counsel to the Land Use Committee of the New York City Council and Deputy Director of the Land Use Division. In addition to his work in government, Chris was a founding board member of Friends of the High Line, and has served on the Law Committee of the Municipal Art Society. Chris holds a Bachelor of Arts degree in History from Saint Francis University in Loretto, PA, and a Juris Doctor from Duquesne University School of Law in Pittsburgh. Kyle Kimball is the Vice President of Government, Regional & Community Affairs for Consolidated Edison of New York. He directs the company’s government and community relations activities at the city, regional, state, and federal levels. He manages the company’s relationships with policy makers at all levels of government and guides strategy on political and policy issues. Kyle joined Con Edison in June 2015. In 2013, Kyle was appointed president of the New York City Economic Development Corporation (NYCEDC) by Mayor Michael Bloomberg, and later reappointed by Mayor Bill de Blasio. In that position, he oversaw billions of dollars in capital infrastructure investments and implemented several of the city’s most ambitious real estate development and open space projects. Prior to joining NYCEDC, Kyle worked at Goldman, Sachs & Co. as Vice President in the Americas Financing Group, and at J.P. Morgan, also as a Vice President, in corporate capital markets. Kyle also serves as a Trustee to the Brooklyn Public Library, and on the boards of the Center for an Urban Future and the Regional Plan Association. In 2017, Kyle was appointed by Mayor de Blasio to serve on the board of the New York City Housing Development Corporation. Kyle is a 1995 graduate of Harvard College. He also received a master’s degree in Public Policy from Harvard Kennedy School in 1998. Carol Loewenson is a Partner at Mitchell Giurgola Architects in New York. She earned a Bachelor of Arts degree from Barnard College and a Master of Architecture degree from Columbia University. Ms. Loewenson was elected to the College of Fellows of the American Institute of Architects in 2013. She was the 2016 President of AIA New York and has served as a board member of the Center for Arts Education and the Center for Architecture Foundation. Her expertise ranges from highly technical buildings, renovations and façade replacements to work involving both the private and public sector. Josh Moskowitz serves as Director of Strategic Initiatives on Citi’s Global Public Affairs team. Josh helps to lead ‘Citi for Cities’, a firm-wide platform designed to demonstrate Citi’s leadership as a company that implements innovative solutions that support the growth of cities around the world. Prior to joining Citi in 2013, Josh was Vice President for Strategic Planning and Business Development at Global Strategy Group. He previously worked for Democratic presidential and congressional campaigns in Washington, DC, Ohio, Illinois and Colorado. As Northeast Political Director for the American Israel Public Affairs Committee, he guided activists in their efforts to build effective relationships with elected officials and advocate on legislative priorities. Josh serves on the Board of Directors of the Downtown Lower Manhattan Association and the Jewish Community Relations Council of New York, and is on the Advisory Board of Peace First, a nonprofit organization that prepares young people to solve problems through collaborative leadership. Josh holds a Bachelor of Arts in Political Science from the University of Michigan. Alan Steel has been the President and Chief Executive Officer of the New York Convention Center Operating Corporation (NYCCOC) since 2012. The Corporation, which operates the Javits Center, completed a comprehensive renovation including significant investments in security, sustainability and technology improvements in 2014. In 2016, the Corporation embarked upon a major addition to the Center, adding another 1 million square feet to its existing, 2 million square feet, footprint. Before joining NYCCOC, Mr. Steel spent more than 30 years as an event management executive and United Kingdom trade development representative. He is the former President of George Little Management (GLM), a major producer of trade shows in the United States and Canada. Before joining GLM in 1982, Mr. Steel worked for more than 15 years with the British government in a number of trade-related positions at the Department of Trade and Industry and the Foreign and Commonwealth Office. In 2014, Mr. Steel was awarded with the King’s Glove award by the International Association of Exhibitors and Events. Read bios for the full Board of Directors.